In this lesson, you will learn about how you can be happy for who you are. It teaches you to love yourself and be happy. 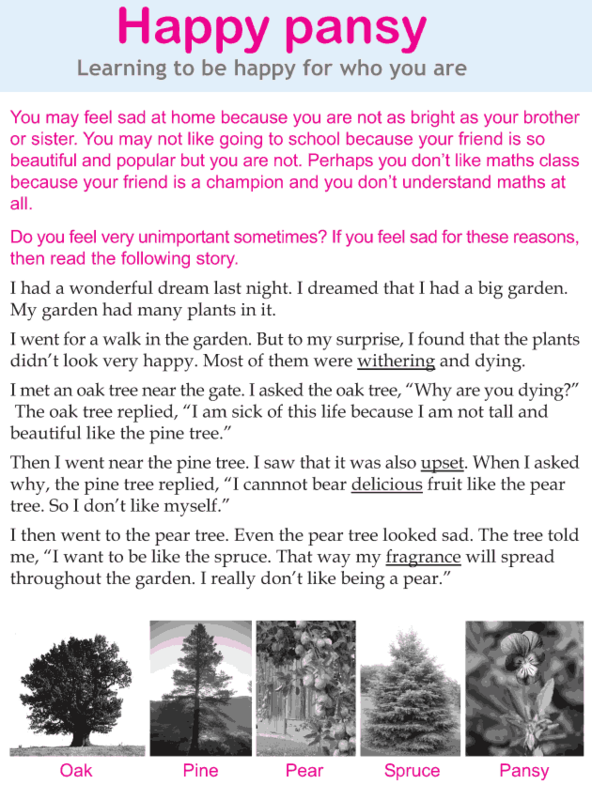 There’s a story in this lesson which can inspire you to love yourself for who you are.